Southwest Arabesque by Pat Kofahl - Together, We Make Memories! 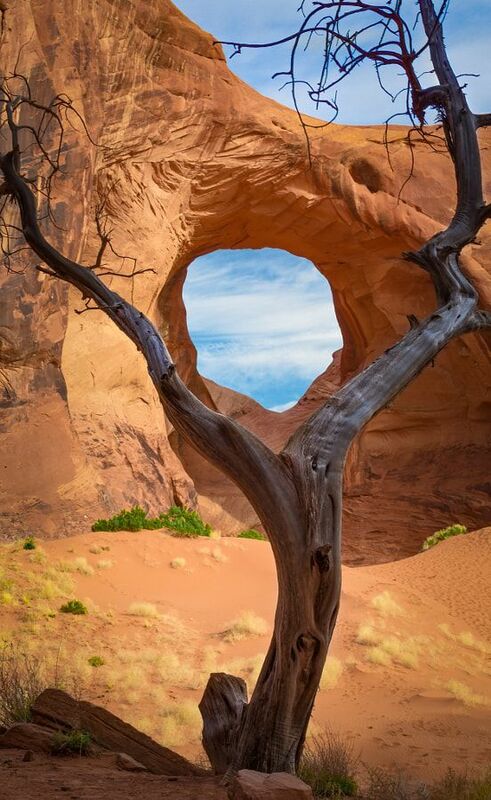 The gnarled branches of a dead tree frame one of the many cut-outs in the Sandstone formations of Monument Valley on the Navajo Reservation in North Eastern Arizona. This fine art image by Pat Kofahl is available in multiple sizes on paper, canvas, metal and plexiglass. Prices start at $49.00!